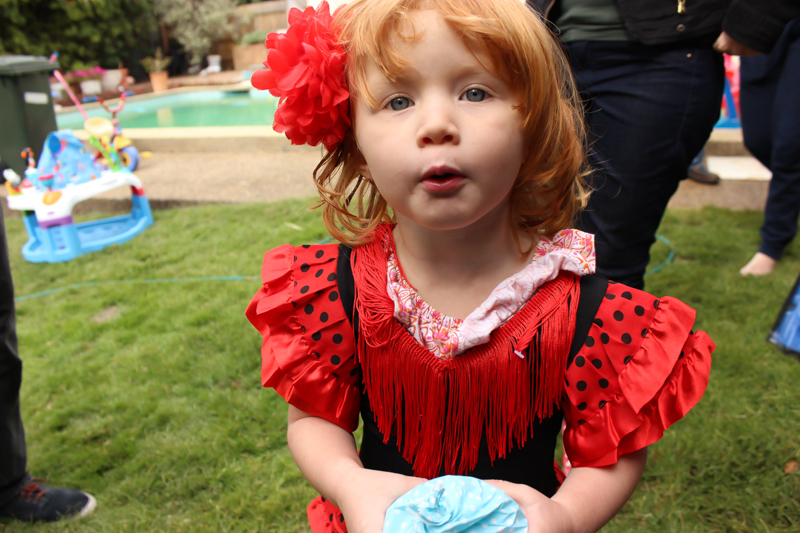 "A portrait of my daughter once a week, every week in 2015"
Today we rang in your third year with all of your favorite things - loved ones, cake and a dance party in your favorite gift, a flamenco dress all the way from Spain. We woke in the morning to cuddles and me recounting your birth story and the beautiful day you came into the world making you giggle with delight. Three years with you my little muffin, three years a mama, three years of living and loving and laughing together. I tried to imagine you as you grew inside me, what kind of person you would be when you emerged, what you would look like, how life would be. You are more magical than I could have ever thought, more full of life and antics and silliness. You came out smiling and you have been making us smile ever since. Here's to you baby girl, the light of our lives and song of our souls. Happy birthday! Love her dress!